Britain has not always been reluctant to countenance European unity. Tommaso Milani (LSE) recalls the intellectual impetus for a European community in the inter-war period, which was driven by a desire for peace and, from some, the left-wing case for a socialist European economy. As history is written and rewritten in constant dialogue with the present, Brexit is likely to affect the way Britons think about their national past. Due to current events, some of the interpretations of the relationship that the UK has had with the European Communities from 1950 onwards will undergo close and renewed scrutiny. Perhaps future research will finally dispel the aura of historical inevitability that surrounds Britain’s pursuit of EEC membership – which is how the story has often been presented in textbooks and surveys for the general public. The task of the scholars operating in this field – to quote a witty analogy coined by Wolfram Kaiser – may no longer resemble “that of a pathologist concerned with identifying the syndromes responsible for Britain’s dysfunctional behaviour”, the latter being “the abnormal detachment” from the European project following the second world war. Writing in 2019, the assumption that Britain’s fate lies, and supposedly always lay, in Europe looks increasingly questionable. Long gone is the belief, so widespread in the 1970s, that the decision to join European institutions had become, in the words of Frederick S Northedge, “natural and perhaps inescapable” and only the “faulty perceptions, anticipations and priorities” of successive post-war cabinets prevented the country from embracing its preordained destiny earlier. However, even revisionism has its dangers – the biggest of which is to further downplay the already neglected role that ideas of European unity played in British history and culture, hence fuelling a narrative of separateness and estrangement. Scholars must resist the temptation to conflate the aloofness that the British political class occasionally displayed towards institutional endeavours aimed at fostering European integration with a general lack of interest in blueprints for a federal Europe. While it is true that British leaders – especially when serving in office – have been scarcely receptive to ‘Europeanist’ intellectuals and societal pressure groups, those inputs nonetheless existed and drew heavily from a long-standing tradition of a distinctively British – as well as imperial – international thought. If we move beyond the examination of the European policies actually put in place and incorporate a wider range of elite-level discourses on Britain’s position towards the Continent in our analysis, the thesis according to which supranationalism is a fundamentally non-British, or even anti-British, idea appears utterly untenable. As a consequence, the more we scratch beneath the government level, the less persuasive the exceptionalist accounts – based on an allegedly unbridgeable gulf between British and European attitudes towards national sovereignty – seem to be. To be sure, even when sceptical or semi-detached, British intellectuals of the 19th and 20th centuries could hardly ignore the significance of Europe as a political arena – partly because of its geographical proximity, partly because the rise of the British Empire led them to focus on international relations as a distinct area of inquiry. After 1914, it was the problem of peace that came to dominate British thinking about the Continent – and understandably so, considering the sheer loss of life that the first world war wrought on the UK. 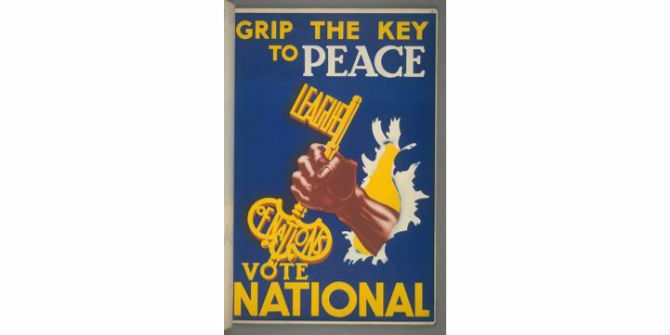 While British policy promoted the creation of a relatively loose League of Nations, prominent voices contended that only the centralised pooling of armaments, rather than a non-binding legal framework for member states, would prevent the outbreak of wars in the long run. The trajectory of Philip Kerr – a distinguished politician, editor, and diplomat better known as Lord Lothian – from critical backer of the League to advocate of European federalism through a prolonged flirtation with appeasement epitomises the painful process through which growing sections of the British establishment called into question the sustainability of the 1919 Versailles settlement. A second, original source of support for the creation of a European federation involving Britain came from left-wing thinkers who, during the Great Depression, highlighted the danger that the drive towards greater capital concentration, economic nationalism and autarchy would exacerbate international tensions. Rather than simply championing the restoration of liberal free trade, authors like Henry Noel Brailsford, Kingsley Martin, and Leonard Woolf envisaged a European federation centred on wide-ranging economic planning, aimed at ensuring full employment, monetary stability, equal living standards between different European regions, and – perhaps more crucially – a unique sphere of influence for British socialism, which they regarded as different both from American unfettered capitalism and from the Soviet, more authoritarian brand of it. Acknowledging the existence of a substantial body of imaginative, highly sophisticated and at times surprisingly far-sighted literature on European unity produced by British intellectuals before 1945 should not, however, be taken as conclusive evidence of Britain’s inherent European vocation. Rather, it should encourage historians to investigate how, in many respects, the peculiar, historically contingent form of European integration experimented from 1950 onwards – i.e. the Monnetian, functionalist undertaking centred on sectoral integration and aimed at achieving increasingly close interdependence between member states – was poorly suited to meet the expectations, the interests, and the demands that British supporters of European unity had expressed during the previous decades. Researchers may come to realise that an even more profound mismatch emerged between the neat, highly stylised but deeply coherent British models of European federation elaborated throughout the interwar period and the complex, muddled, and inevitably haphazard set of institutional arrangements through which the actual European Union was gradually built. Nevertheless, British visions of European unity deserve better consideration – not only as a repository of ideas, but also as a reminder of the roads not taken by the process of integration. If, as the convulsions of Brexit suggest, Britain’s relationship with Europe is bound to remain problematic, unresolved and impervious to any teleological reading, one could only hope that greater engagement with British ideas will stimulate Europeans to reflect more critically about the EU – its achievements, its shortcomings, and its future prospects. T. Milani, ‘Retreat from the Global? European Unity and British Progressive Intellectuals, 1930-1945’, International History Review, January 2019, 1-18. T. Milani, “From Laissez-Faire to Supranational Planning: The Economic Debate within Federal Union (1938-1945)”, European Review of History / Revue européenne d’histoire, (23:4 2016), 664-685. 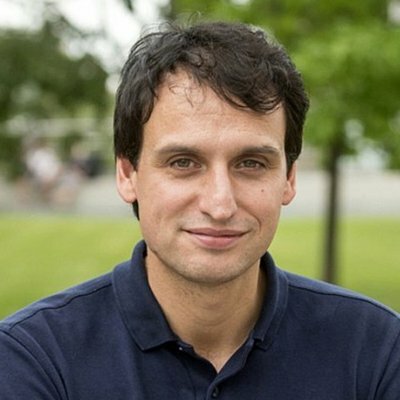 Dr Tommaso Milani is a Guest Teacher of International History at the LSE and a stipendiary lecturer in Modern European History at Balliol College, Oxford. In devolved systems, people may be unsure about which government does what and so who is responsible for policy outcomes. Sandra León and Lluís Orriols use a survey experiment on responsibility attribution surrounding the NHS in Scotland and Wales, and point to the role of partisanship and identity as cognitive guides in attributing credit and blame. Blame attribution on policy outcomes is a controversial issue in democratic theory. One of the most celebrated promises of representative democracy is that free, competitive, and fair elections should enhance good government. The mechanism goes as follows: as incumbents may anticipate the electoral costs associated to deviating from the interests of the electorate, they will end up being responsive to voters’ demands in order to avoid electoral punishment. However, elections can only effectively discipline politicians if voters can discern to what extent incumbents are responsible for policy outcomes, and that capacity varies according to the institutional context. Devolution is one of the institutional characteristics in a political system that complicates clarity of responsibility, as there are different levels of governments responsible for different policy areas and, in turn, potentially blameable for policy outcomes. Think about healthcare. Although the NHS is a devolved power, the Scotsman’s reader considered that Westminster was responsible for poor healthcare services. This posits an interesting question: why are some individuals more prone to accuse Westminster than Holyrood? What are the determinants of blame attribution? The aim of our investigation is precisely to shed some light on how citizens end up attributing responsibility for policy outcomes in federal or decentralised systems. We argue that vertical fragmentation of powers which characterises devolved settings provides an opportunity structure for individuals to engage in a blame-attribution game between the different levels of government. Our hypothesis is that political identities play a key role in blame-attribution. We claim that citizens are not neutral in their judgements, but filter them through a group-serving bias: giving credit for good performance to the group they identify with, and blaming the out-group for poor outcomes. Although research has studied the role of partisanship as a source of attribution bias, it has largely ignored another salient identity in politics: the national one. In our investigation we try to test to what extent individuals’ bias in responsibility assignments respond to their in-group preferences, namely party affiliation and national identity. Indeed, according to our expectation the Scotsman reader would probably be someone who is emotionally attached to the SNP and (or) to Scottish identity. In order to test our expectations we conducted survey experiments on responsibility attribution for the NHS in Scotland and Wales in the run-up to the 2015 general election. The experiment consisted of randomly providing a positive or negative statement made by experts about changes in healthcare outcomes, followed by a question about who is mainly responsible for the change. More specifically, the positive and negative treatments were worded as follows (positive treatment in brackets): “Many experts say that healthcare in Scotland/Wales has generally worsened [improved] over the last year; for example the waiting times for patients in urgent services are now longer [shorter] and time allocated to patients in primary care has decreased [increased]”. Respondents were then asked to locate on a 7-point scale the degree of responsibility of the central and regional governments (being 1 regional government and 7 central government). 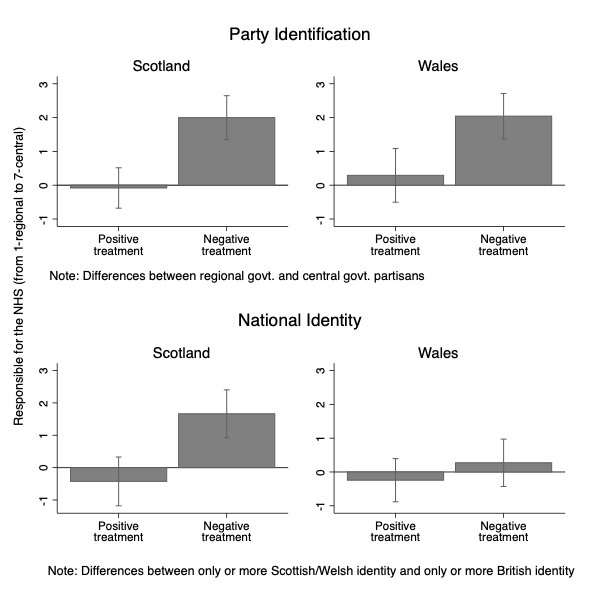 Our findings show that both party identification and national identity are drivers of attributions of responsibility in Scotland and Wales. Our results also indicate that partisanship has a more prominent and encompassing effect than national identity. Some of the empirical findings are summarized in Figure 1. Note: The figure shows the mean differences on the NHS responsibility scale (1-regional authorities to 7-central authorities) between regional and central government partisans (top line) and between British and Scottish/Welsh identity. The spikes indicate the 95% confidence intervals. The two graphs above show the differences in attribution of responsibility between individuals who identify with regional incumbent party(ies) (we label them as regional government partisans) and individuals who identify with incumbent parties at the central level (central government partisans). Results are consistent with the claim that citizens make responsibility assignments that are coherent with their party alignment. But this only occurs for the negative treatment only. Individuals who identify with parties other than the Conservative Party or the Liberal Democrats (that formed the central incumbent coalition at the time of the experiment) hold the central government more responsible for poor NHS outcomes than those identified with the Conservative Party or the Liberal Democrats. In summary, empirical evidence suggests that people are more willing to filter responsibility assignments through the lenses of partisanship when things go wrong. The two bottom graphs in Figure 1 show that differences in responsibility attribution between those more or only identified with the region and those who feel mainly British are only significant for the negative treatment and for the Scottish sample. In Wales, attribution of responsibility for the results of the NHS is not significantly moderated by national identity, regardless of the positive or negative nature of the treatment. Overall, our investigation indicates that it is partisanship, and not national identity, the most important in-group bias driving responsibility assignments. These results have important implications for the operation of representative democracy and electoral accountability. If voters filter their responsibility judgements through the lenses of partisanship and national identity, incumbents may end up being rewarded or punished by the electorate in a way that is unrelated to policy outcomes. As a result, the incentives of politicians to be responsive to the electorate’s preferences may ultimately fade away. Our findings also have important implications for the current debate on British devolution. Constitutional amendments since the late 1990s have turned the UK into one of the most heterogeneous institutional settings amongst European countries. The ongoing nature of the process of devolution in the UK, illustrated by recent reforms in Wales and Scotland as well as by the process of English devolution to local combined authorities, will certainly complicate responsibility assignments. How will British citizens cope with that complexity? Our research indicates that partisan alignments and national identity will very likely act as cognitive guides for individuals in an increasingly complex institutional setting. Note: the above draws on the authors’ published work in Electoral Studies. 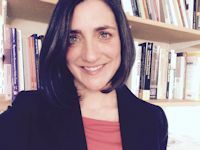 Sandra León is Senior Lecturer at that University of York. Lluís Orriols is Associate Professor at University Carlos III, Madrid. The Prime Minister, Theresa May, has repeatedly asserted that Brexit is “the will of the British people”, and that the government, therefore, has a duty to “deliver” it. But is Brexit really the will of the British people? Christian List (LSE) takes a critical look at this question. The Prime Minister assumes that “the will of the people” is to be defined as “the will of the majority”. The 2016 referendum, which produced a majority for Brexit, can then be interpreted as showing that Brexit is indeed the will of the British people. And although the referendum was officially only advisory, it was widely treated as if it were binding, and so it may seem to justify Theresa May’s stand. But there are several complicating factors. First of all, the majority was narrow. There were 17.4 million votes for Leave, 16.1 million votes for Remain, and 12.9 million abstentions. A further 18 million people living in the UK were not on the electoral register, including all young people below the age of 18 and many long-term residents who are not citizens, though they contribute to British society and have a stake in it. So, although 17.4 million is a large number, it is only a relative majority, not an absolute one. Secondly, at the time of the referendum, there was no shared vision as to what “Leave” actually meant. As we now know, there are several different versions of Brexit, and it is not clear which one voters had in mind. This problem was exacerbated by the fact that the pre-referendum campaigns were arguably not as deliberative, honest, and respectful as one might have hoped in light of the gravity of the decision at stake, and some issues that subsequently became central, such as the border in Northern Ireland, were insufficiently discussed. A widely accepted principle is that high-stakes decisions require as much information as possible and especially careful deliberation. Many people feel that this principle was insufficiently adhered to in the case of the referendum. Some potentially undeliverable or misleading promises were made. Interestingly, the search phrase “What is the EU” spiked on Google after, not before, the referendum (see, e.g., here). This raises questions about whether the referendum result would have been the same if the pre-referendum debate had been more deliberative. A third complication is that the referendum – even when taken at face value – gave us only a snapshot of people’s wishes in June 2016, and we cannot presume that these wishes remain unchanged. So, at most, it might be argued, Brexit was the will of the people at the time of the referendum. This raises the question of whether its mandate comes with an expiry date or whether it could continue to guide policy if there were a shift in public opinion. But even if we set all of these complications aside, there is still a much bigger, but less widely recognized challenge for the view that Brexit is the will of the people. It lies in the fact that the majoritarian definition of the popular will, uncritically adopted by the Prime Minister and many others, is not generally coherent. The point is an old one, first noted by Nicolas de Condorcet in the 18th century, but it remains valid today. Condorcet’s insight was that the preferences of the majority may be incoherent even when all underlying individual preferences are entirely coherent. For a simple example, suppose there are three options to choose from. Call them A, B, and C. Suppose a third of the population prefers A over B over C; a second third prefers B over C over A; and a final third prefers C over A over B. Then there are majorities (of two thirds each) for A over B, for B over C, and yet for C over A. Every option is defeated by another option in a pairwise majority comparison. None of the options can qualify as “the majority will” here – a problem known as “Condorcet’s paradox”. And so, if the will of the people is defined as the will of the majority, then there may not be a coherent such will at all. 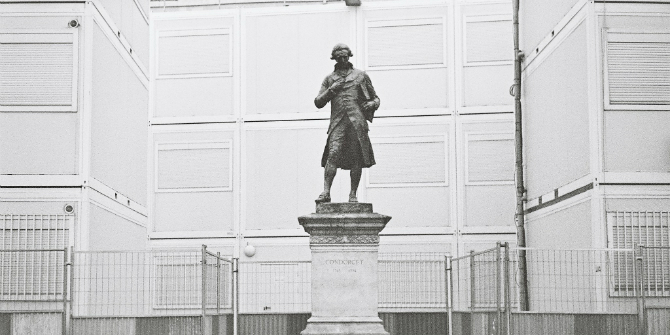 More concretely, some commentators have suggested that once we recognize that the UK’s choice is not simply one between Leave and Remain, but between several options, such as Soft Brexit, Hard Brexit, and Remain, we might indeed be faced with an instance of Condorcet’s paradox (see, e.g., here and here). For instance, one third of the people might prefer Soft Brexit over Remain over Hard Brexit (thinking that Brexit should be delivered but Hard Brexit would have bad consequences); a second third might prefer Remain over Hard Brexit over Soft Brexit (thinking that Soft Brexit is the worst of both worlds); and a final third might prefer Hard Brexit over Soft Brexit over Remain (thinking that the harder the Brexit, the better). Then each of the options would be majority-defeated by another, just as in the earlier abstract example. But even if we consider just two options, Leave and Remain, a certain kind of majority incoherence can still occur. We may wish to arrive not only at a majority decision on whether to pursue Brexit, but also at some reasons for that decision that are themselves accepted by a majority. The following hypothetical example shows that the overall package of majority opinions may still be incoherent. 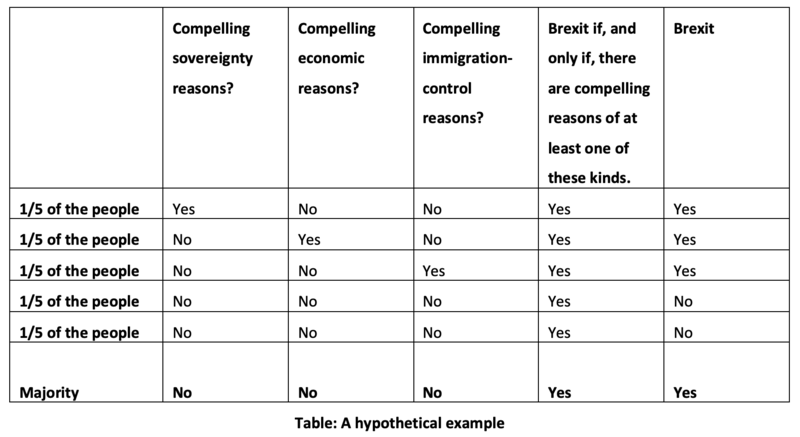 Let us assume, for the sake of this example, that it is generally agreed that Brexit should be pursued if, and only if, there are either compelling sovereignty reasons for leaving the EU, or compelling economic reasons, or compelling immigration-control reasons (or, of course, more than one of the above). Suppose now that the individual opinions in the population are as shown in the table below. Now, emphatically, this is a hypothetical example, which is not based on real-world opinion polls, and I am using it only to illustrate a conceptual point. But I don’t think that the scenario is entirely far-fetched. The relative majority for Leave in the 2016 referendum may well have been an “incompletely theorized” one (adapting a concept introduced by the legal scholar Cass Sunstein). By an “incompletely theorized majority opinion”, I mean one that is not supported by any publicly agreed reasons, but that is underwritten by a patchwork of different, perhaps mutually inconsistent individual considerations none of which rises to the level of majority acceptability. More broadly, the examples I have given, beginning with Condorcet’s paradox, show that if we define the “will of the people” in majoritarian terms, we cannot be sure that there is a coherent will that can be ascribed to the people. Of course, the problem of majority incoherence may not come to the surface in every situation in which we are trying to merge individual opinions into collective ones. But from a conceptual perspective, the fact that the “majority will” may be incoherent even when all individual wills are coherent should give some pause to those who uncritically define the popular will as the will of the majority (a point made forcefully by William Riker in a classic 1982 book, Liberalism against Populism). “collective rationality”, which says that the collective will should not be incoherent. I have described this problem as a “democratic trilemma”: no more than two of the three desiderata can be met at once (see here). To see how the desiderata can come into conflict, recall the example of Condorcet’s paradox, where there is a majority for A over B, a majority for B over C, and a majority for C over A. In such a case, which can easily occur in a pluralistic society, it is impossible both to respect the majority views and also to arrive at a coherent collective will. Something has to give. Any democratic society must engage in careful deliberation to figure out, for each context and each decision problem at hand, how it can construct its “collective will” in the most democratically justifiable manner. There is no one-size-fits-all solution. Ideally, we would not wish to sacrifice too much robustness to pluralism, nor systematically to overrule majorities, nor to live with incoherent collective decisions. But the relative importance of the three desiderata may vary from context to context, and in making democratic decisions, we must arrive at compromises that strike the best balance between the different desiderata, while remaining publicly justifiable. Simply reducing “the will of the people” to “the will of the majority” will not generally work. How should we move forward in relation to Brexit? For a start, we should refrain from attaching the loaded label “the will of the people” to the outcome of the 2016 referendum and instead recognize that it was an elicitation of votes, on a vaguely defined proposal, at a certain point in time, among a certain participating electorate, following a certain pre-referendum debate about which many concerns have been raised. Secondly, although we cannot deny that the chosen decision procedure was simple majority voting, we should also acknowledge that, on more careful reflection, requiring more than just a simple majority for a decision with such far-reaching consequences would have been desirable. Generally, there are strong democratic reasons for requiring supermajorities – such as two thirds or more – for any decisions of major constitutional significance. In fact, in many countries, constitutional changes can only be made with supermajority support, often in bicameral settings. That said, the referendum has taken place, it has generated expectations, and we certainly cannot pretend that it hasn’t happened. Understandably, many Members of Parliament are reluctant to overturn it without a strong democratic mandate, even if they sincerely think that Brexit is against the national interest. This is one of the reasons why Parliament is so badly gridlocked. A second referendum could adjudicate the matter. If there were another referendum, however, it should be preceded by an extensive process of deliberation, a process that is as inclusive, information-based, reasoned, and respectful as possible, perhaps with citizens’ assemblies and similar events as key ingredients. Moreover, the process would need to look not only at Brexit narrowly construed but also at the broader challenges the country faces. Democracy requires more than just a mere counting of votes. This post represents the views of the author and not those of the Brexit blog, nor the LSE. For those interested in reading more about social choice theory and the notion of the will of the people, see, respectively, this survey article and this recent book. Image by Arnaud B., Some rights reserved. Christian List is Professor of Philosophy and Political Science at the London School of Economics and a Fellow of the British Academy. In 2011, he published Group Agency: The Possibility, Design, and Status of Corporate Agents (with Philip Pettit).